The Croatian TV drama series Family Archives, written by Marjan Alčevski and Andamion Murataj, and produced by Zvonimir Munivrana (Corvus Film) was chosen by the international jury as the best of six projects under development at the co-production market aimed at developing TV drama series projects from Central and Eastern Europe. The TV drama series project Family Archives won the Pitching Award from IFF ScripTeast, the industrial segment held during the 9th Odessa International Film Festival. The project was also awarded a postproduction package worth 20 000 USD from the production house Star Media. ‘We were impressed and pleased with the quality of all the projects. The jury decided to give the award to ‘Family Archives’ because it combines all the elements of a successful contemporary drama series: a very specific local story, a strong, modern female leading character, and international potential,’ said jury president Laurence Herszberg. The series writers are Andamion Murataj, Silver Bear winner for best script and Marjan Alčevski, while the producer is Zvonimir Munivrana from Corvus Film. Family Archives is a drama series that follows a young business woman’s political campaign and her determination to change the corruptive societal paradigms for the sake of future generations. Coming from a family where her father was a communist dissident, she is even more motivated, especially when she faces threats from her father’s past and decisions that could have dramatic consequences both for her political campaign and her family. Five other projects from Ukraine, Macedonia, Hungary and Poland participated at this year’s IFF ScripTeast co-production market for developing TV drama series projects from Central and Eastern Europe. Along with Family Archives, the international jury also awarded Smokey Eyes by Małgorzate Piłacińske from Poland. 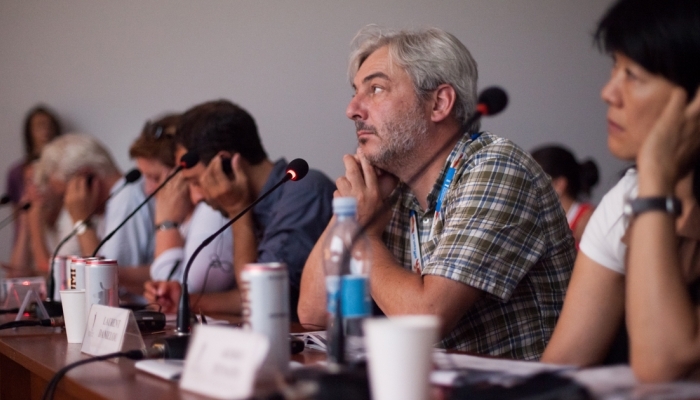 The IFF ScripTeast was held in Odessa from July 17th to 20th. During the pitching forums, all six selected projects presented to renowned professionals from the television sector of the audiovisual industry, distributers and co-producers. ScripTeast is organised by the Independent Film Foundation in Poland and has been held since 2006. A full list of selected projects and more information on ScripTeast is available to the top right of this text, while a report on the final day of the industrial programme of the Odessa International Film Festival, which was held from July 13th to 21st, is available here.